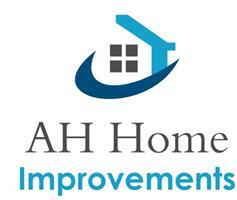 AH Home Improvements - Bathrooms, Bedrooms, Kitchens based in Bracknell, Berkshire. By Far the best profile on check a trade with an up to date gallery and great genuine feedback - AH Home Improvements are a small family run business with over 50 years combined experience in the building trade. You can find more about us on our FB page at www.facebook.com/ahhomeimprovements or our website at www.ahhomeimprovements.co.uk feel free to take a look!! A no hassle team!! We have a tradesman for every job plus a project manager. AH Home Improvements was established in 2014 and since then they have been flying. Because we offer the whole package we find a lot of customers choose us! On average a full bathroom/kitchen refurbishment takes us 10/12 days. A full 3/4 bedroom house refurbishment upto 4/6 weeks. We are a clean a friendly team who have worked together now for over 4 years and do everything we can to make our customers feel comfortable working with us. Your feedback and recommendations are what makes us so successful in what we do.